Happy Sunday Dudes! Today I want to just lay around the house and recover from last night's remix release party for my band Technophobia at Black Cat. We played with two SUPER RAD bands: Curse from Baltimore and Void Vision from Philadelphia. They were amazing and I am so pleased that they were able to join us for our big event. You can listen to the remixes streaming HERE! Anyway, on to some sunday inspiration! 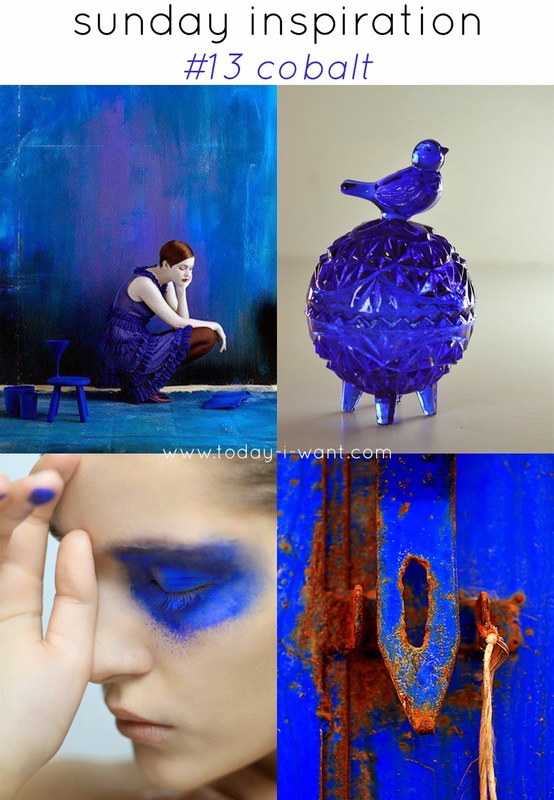 This weeks hue is cobalt. I love this rich color and was very taken by the combination of cobalt and rusty reds and browns. I very unfortunately was unable to properly source all these images, but was so taken by them I couldn't not share. If you happen to know the original sources for them please do let me know! So what is inspiring you this week? Don't forget to check out what is inspiring my blogger bff G this week on Tulle and Combat Boots! My First Petit Vour Box!